Your next sweet treat is right at your fingertips. 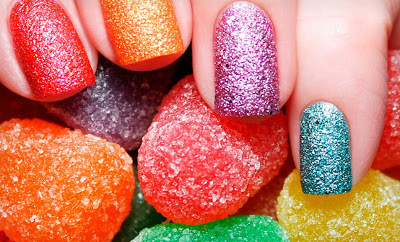 JulieG Nails has created polish perfection with nail colors that look & feel just like frosted gumdrops. The texture is perfect: not scratchy but replicated the surface of a sugar coated gumdrop. 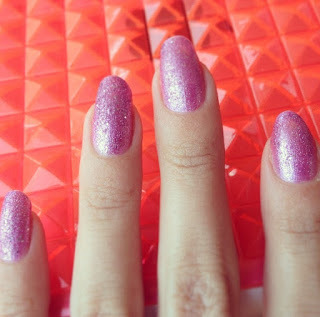 The colors are frosted, shiny metallic glitters that have a flat matte shine and the best part; unlike most glitter nail polishes, these shimmer shades are easy to remove! Available in Rite Aid stores or online at Jesse's Girl Cosmetics for $3.99 each. Even 'sweeter' color in person, the shades dry fast with instant textured finish!